Changes in the railroads that serve Madision County continue with the breakup of Conrail. Conrail, in an attempt to improve its competitive position in the Eastern United States negotiated a merger with CSX Transportation. Meanwhile, Norfolk Southern (NS) was not at all happy with this prospect and began offering above market value for Conrail stock. 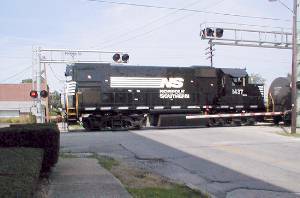 On June 2, 1997, Conrail agreed to a merger with CSX Transportation who promptly entered into an agreement with Norfolk Southern to divide Conrail's assets between them (pending approval of the Surface Transportation Board). 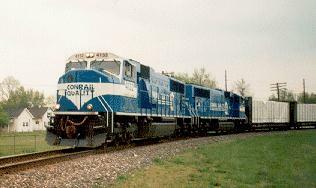 On July 23, 1997 the STB ordered Conrail to form two wholly owned subsidiaries: New York Central Lines (NYC) and Pennsylvania Lines (PRR) consisting primarily of the old NYC properties and PRR properties. CSX will acquire NYC and NS will acquire PRR. In Madision County, however, NS will acquire the DOW and Marion Branch north while CSX will take the Indianapolis to Cleveland Main, South Anderson Yards and the Emporia Secondary effectively spliting the Ex-NYC properties here. 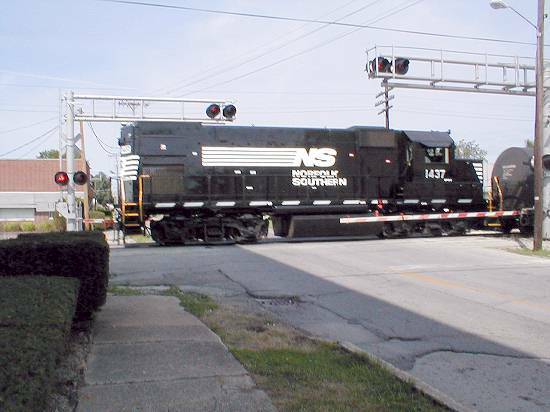 NS has now installed a connection at Alexandria from its Frankfort Main to the DOW (Marion Branch) in order to route traffic from Muncie to Elkhart. Construction was held up for a short period of time as two property owners refused to sell needed parcels of land to NS. Traffic on the East-West Frankfort Main may see increases as well. 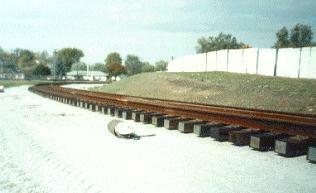 NS also will obtain trackage rights on the CSX Main from Muncie into South Anderson Yards and to the south end of the DOW. In the meantime, CSX and NS power is beginning to show up more frequently on the North-South runs and new locomotive are being delievered with the particular horns of the receiving company installed. 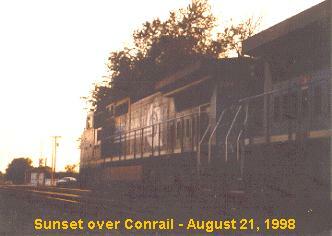 On August 22, 1998, CSX and NS exercised their options and took control of Conrail. To all outward appearances nothing changed then, but new Board members were elected to replace the former Conrail Board. CSX assumed control of the 'Big Four' main, South Anderson Yards and the Emporia Secondary with NS taking the DOW and Marion Branch north to Elkhart. 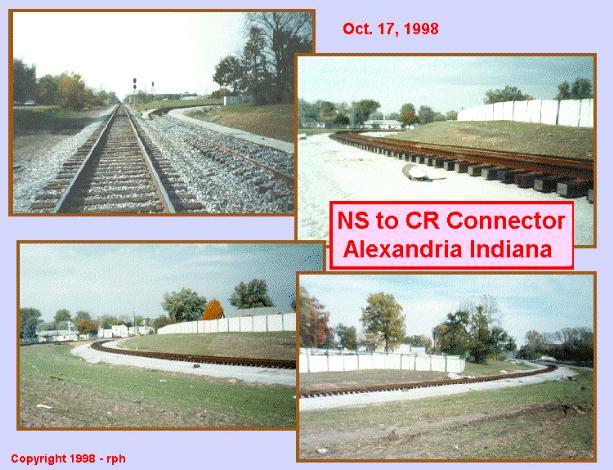 Today is Jume 1, 1999 and the Big Four main line east out of Indy is silent today as CSX and NS work to assimilate Conrail into their computer systems. These rails have stood silent before, but never for a reason such as this. Always before the railroad continued on as a part of the larger whole. BeeLine, Big Four, NYC, PC and Conrail. Always the traffic continued to roll even as the names changed, but not this time. Conrail became what Penn Central should have been. It was alive and vibrant and healthy. It made money, and because it did, it became a target for a takeover, a buy-out. The rails stand silent today as the new owners try to roll Conrail into their fold. Always before the railroad lived on, but not this time. The CCC&StL is now truely history and the NS dispatcher will no longer say, "The Big Four will run one ahead of you." I was out yesterday in spite of the overcast and rain trying to get the last moments on film. I caught PRR 8444 on the point leaving South Anderson Yards eastbound late in the afternoon. That was the last that I could get. Saturday was clear and bright and the trains were rolling frequently. Today, the rails lie silent as Conrail passes into history and becomes just another fallen flag... Goodbye old friend. Copyright 1998-2001 by Roger P. Hensley. All Rights Reserved.